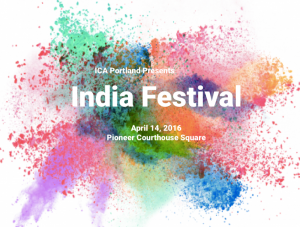 This weekend’s activities: Bridge Pedal, Alberta Street Fair, Seaport Celebration, Taste of Croatia, Timbers Army Block Party, India Fest – and more! The Bite of Oregon takes over Waterfront Park all weekend with Oregon food, wine, and beer. The Bridge Pedal take place Sunday, August 14, 2016. The 19th Annual Alberta Street Fair, presented by Legacy-GoHealth Urgent Care, is Saturday, August 13, 2016. 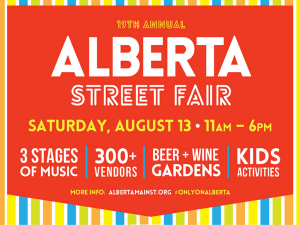 The Fair offers an eclectic mix of activities and events that could only be found on Alberta Street and showcases the best of the Alberta Street community. The event features entertainment, music, vendors, food and drink for people of all ages. 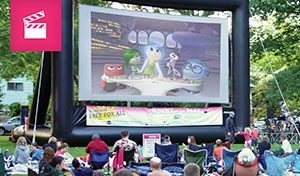 Join the fun on the waterfront at the family-friendly event of the summer! The Port of Portland’s Terminal 2 will open up for a unique opportunity to go inside the fences of a working marine terminal, normally closed to the public. Best of all, parking and admission are free! Experience Portland’s thriving working harbor by jumping on a jet boat ride, or throw on a helmet and try your hand at welding. Enjoy interactive booths from harbor businesses. 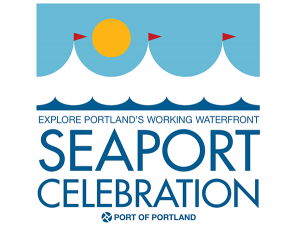 From great musicians and delicious food, to thrilling activities for all ages, Seaport Celebration is the event not to be missed! Hey, kids! Time for our annual block party! 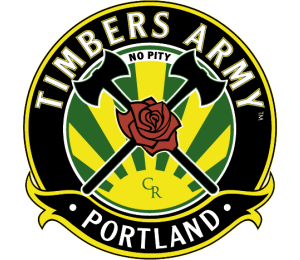 As in years past, we’ll take over the block in front of the Fanladen with match viewing, music, a dunk tank and bouncy house, and many options for beer, cider, and food. Festivities go from 1 to 9pm. The match is at 4pm.